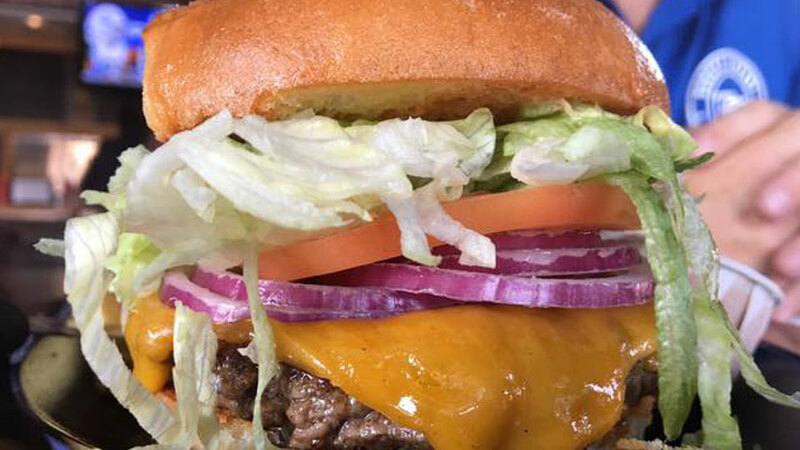 Bend Burger Company, established in 2008, cooks all-natural beef patties fresh to order and their extensive list of ingredients are fresh and prepped by hand every day, served at their location on 3rd St across from the Wagner Mall. The steaks and chicken are cooked over a hickory wood fire, making them plump, juicy and full of fresh flavor. The Wall Street Burger is topped with Swiss cheese, smoked ham, roasted garlic, dill pickles & “Bend Burger Mustard Sauce”, and the Bachelor Brat Burger features hamburger-German sausage, Swiss cheese, bacon, sauerkraut, grilled onions & mustard sauce, so anyone will find something to enjoy. While they have twelve different burger options, Bend Burger Company, despite its name, also offers some nice salads and soups, in addition to their steak and chicken and sandwiches. They celebrate a theme of “The Bend Style” in the restaurant, showcasing some favorite hobbies of Bend, the gorgeous scenery, local high school sports and historic memorabilia. They offer gluten-free buns and can get you an order of green beans in place of their fries.